ZurumNewsdigest. : Nigeria: PDP Chieftain Anenih Calls on The North To Reciprocate S’South Support For Past Northern Leaders. Nigeria: PDP Chieftain Anenih Calls on The North To Reciprocate S’South Support For Past Northern Leaders. 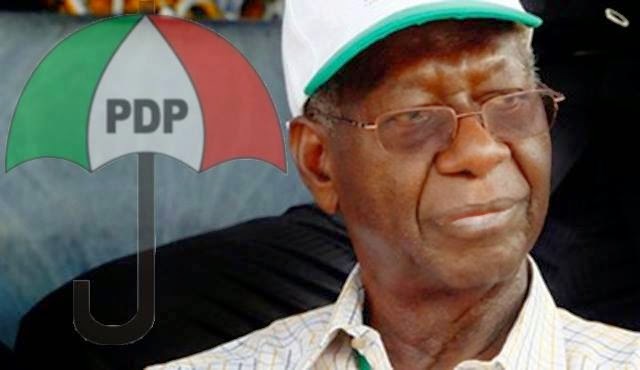 Chairman of the Board of Trustees of the ruling Peoples Democratic Party (PDP), Chief Tony Anenih yesterday made a passionate appeal to the North to support the second term ambition of President Goodluck Jonathan. According to Leadership Newspaper, The PDP Bot chairman, in a rare admittance, noted that while the north has the legitimate right to produce the next president, said the South-South zone would feel short-changed, if they were to be denied the opportunity to have a full complement of tenure. 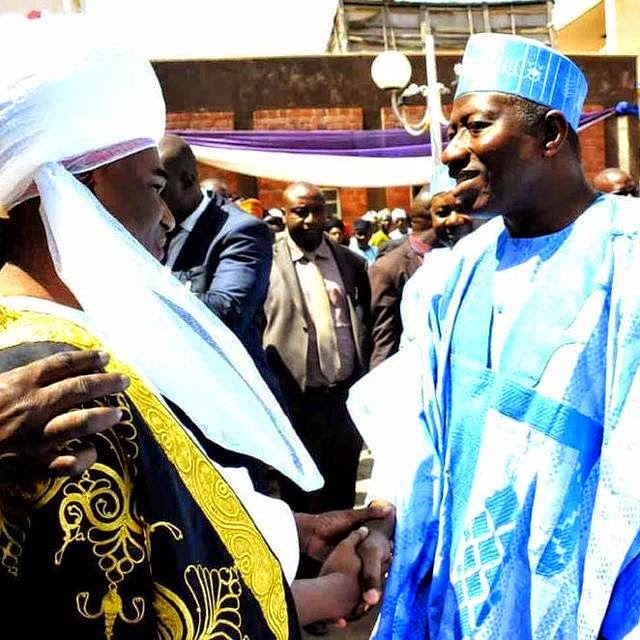 He urged the North to consider the decades of cooperation given by the people of the south-south to candidates of the north and reciprocate the gesture with a renewed mandate for Jonathan. He further urged the Independent National Electoral Commission (INEC) to up its preparation for the elections to ensure it surpasses the outcome of the 2011 elections, which was highly rated by the international community. The statement reads: “Last week, I made a passionate appeal to Nigerians on the need for us to ensure, during the forthcoming elections, that the nation remains unified and keeps moving forward in unity. With a few days to commencement of the 2015 Presidential election, I find it expedient to send this appeal specifically to our brothers and sisters in the Northern States. “The election is the most important as it is the precursor to the elections at the state level, which come up on February 28. For me, however, the critical issue in the February 14 Presidential election is justice. While I do not intend to wish away your legitimate right to be President, I urge you to consider the decades of cooperation given by the people of the South-South to candidates of the North. “In all the democratic elections in Nigerian history in which a Northerner had contested, statistics show that the South-South often voted overwhelmingly for such a candidate. “What I ask of you is to reciprocate this show of solidarity and vote massively for our son, President Goodluck Ebele Jonathan, on February 14, 2015. This will only be a fair reward for the consistency of our friendship. “I need to emphasize that this is the first time that the South-South has had the opportunity to produce the President of Nigeria. It is an opportunity for which we have been grateful since 2011. However, the people of the Zone would feel short-changed, if they were to be denied the opportunity to have a full complement of tenure. A second term for President Jonathan, who remains the best candidate for the presidency, will be the only just arrangement that the people of the Zone would cherish. “May I say that the choice of voting for President Jonathan has been made easy for us all by his commendable performance in all the sectors of our national life during his first tenure. In agriculture, the economy, infrastructure, education, women and youth empowerment, the Jonathan administration has touched the lives of all Nigerians. “I seek your massive support for President Goodluck Jonathan at the Presidential election on February 14, 2015. We need to continue to strengthen the bridge of unity and understanding among all the peoples of this great nation. It is only by making concessions and compromises that we can transform our diversity into great strength. There is no greater time for concessions and compromises than now. “May I take this opportunity to call for moderation in our electioneering and politicking. The threat of violence right from the time the presidential candidate of the APC, General Muhammadu Buhari, changed his mind that he would contest is unfortunate. We would reasonably refuse to accept a situation where a Nigerian, whether from the North or the South, would start his political journey with a threat that the baboon and the dog would be soaked in their own blood if what happened in 2011 happens in 2015; whereas 2011 election was adjudged by international and domestic observers as the best election that we ever had in the nation’s poll history. “I know the antecedents of each of the presidential candidates on parade for the 2015 election. I also know that the threat of violence or rejection of anticipated election victory will not change the will of God. “And on the part of the Independent National Electoral Commission, I expect the election body to up its ante. In any human endeavour, there is always room for improvement. There is no doubt in my mind that in the 2015 presidential election, INEC will improve on its preparations and the conduct of the election.